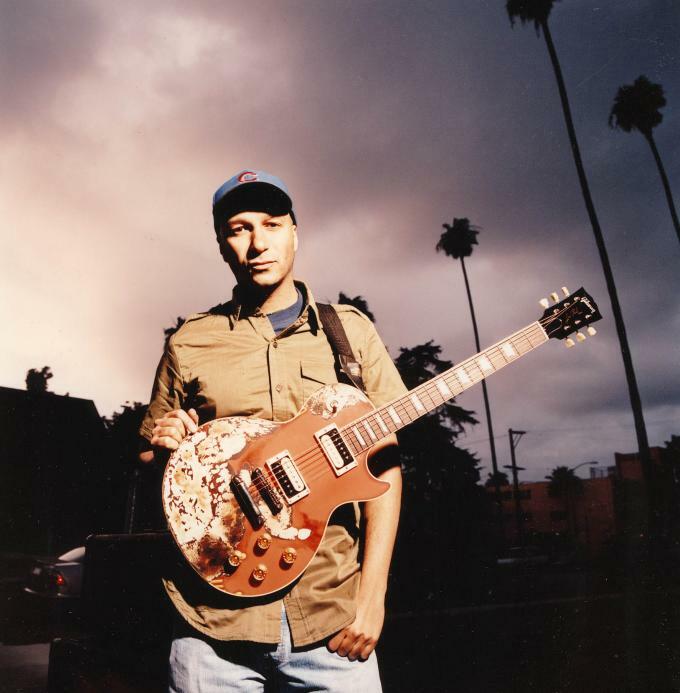 The story behind Tom Morello’s burnt Budweiser Gibson Les Paul guitar. 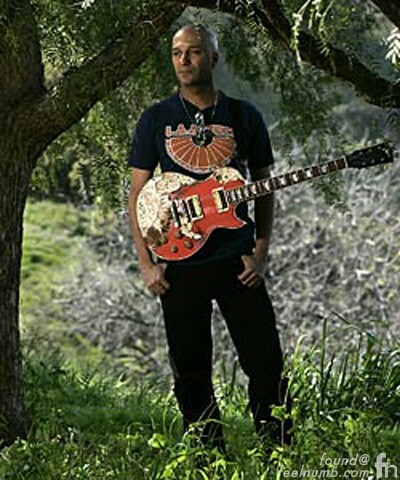 “It was during the recording of the last Audioslave album, Revelations. Our producer, Brendan O’Brien, brought a plethora of guitars to the studio. Usually I try to find that one orphan guitar to use, because a lot of times, that’s the guitar you’re going to be able to get some music out of. One day I found this Les Paul sitting in the corner─and I love Les Pauls, of course, absolutely adore them─but the weird and shocking thing was, somebody had painted this hideous, screaming orange beer logo on it. I don’t know if that’s the way Brendan got it, and I certainly have no idea what would have possessed somebody to deface a beautiful instrument in such a horrible way. I mean, a beer logo on a Les Paul? It just isn’t done. Here’s the details on the guitar…. 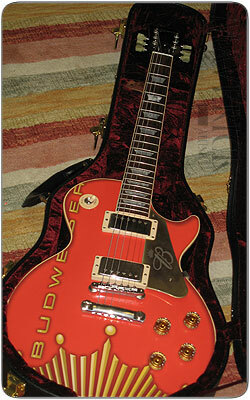 Quite a few US corporations commissioned limited run Les Paul’s in the early 2000s, Indian motorcycles, Jim Beam, etc. 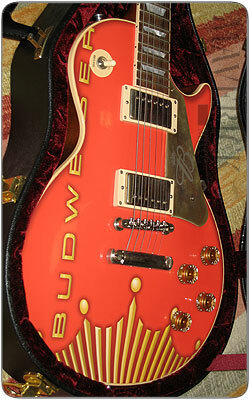 Anheuser Busch commissioned a very limited run of the “Budweiser King of Beers” Les Paul standard, this example is SN CS22232.